The interesting finding here is that diversity in the LCT/MCM6 region is increased rather than reduced among those who are lactose tolerant compared to those who are lactose intolerant. 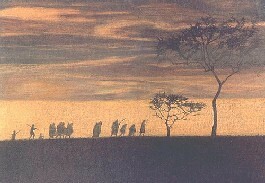 Unlike in Europe where a single mutation swept through much of the population, among this East African population, there are several mutations that arose on different haplotype backgrounds that have a similar phenotypic effect. The result is that genetic diversity in this genomic region is increased. The authors have a pretty good discussion about the possible reasons for the patterns they observe. These types of examples, albeit simplistic compared to other traits, are great for our basic understanding of the genetic basis of complex traits, and for our understanding of the genetic avenues leading to adaptation. Multiple rare variants as a cause of a common phenotype: several different lactase persistence associated alleles in a single ethnic group. Ingram CJ, Raga TO, Tarekegn A, Browning SL, Elamin MF, Bekele E, Thomas MG, Weale ME, Bradman N, Swallow DM. J Mol Evol. 2009 Dec;69(6):579-88. Abstract:Persistence of intestinal lactase into adulthood allows humans to use milk from other mammals as a source of food and water. This genetic trait has arisen by convergent evolution and the derived alleles of at least three different single nucleotide polymorphisms (-13910C>T, -13915T>G, -14010G>C) are associated with lactase persistence in different populations. Each allele occurs on an extended haplotype, consistent with positive directional selection. The SNPs are located in an 'enhancer' sequence in an intron of a neighboring gene (MCM6) and modulate lactase transcription in vitro. However, a number of lactase persistent individuals carry none of these alleles, but other low-frequency single nucleotide polymorphisms have been observed in the same region. 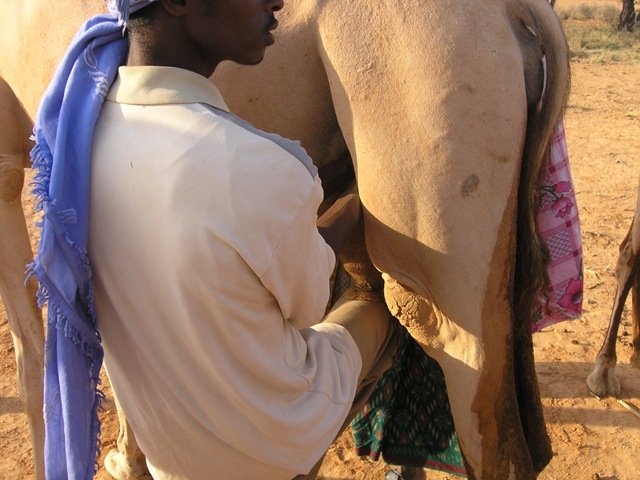 Here we examine a cohort of 107 milk-drinking Somali camel-herders from Ethiopia. Eight polymorphic sites are identified in the enhancer. -13915*G and -13907*G (a previously reported candidate) are each significantly associated with lactase persistence. A new allele, -14009*G, has borderline association with lactase persistence, but loses significance after correction for multiple testing. Sequence diversity of the enhancer is significantly higher in the lactase persistent members of this and a second cohort compared with non-persistent members of the two groups (P = 7.7 x 10(-9) and 1.0 x 10(-3)). By comparing other loci, we show that this difference is not due to population sub-structure, demonstrating that increased diversity can accompany selection. This contrasts with the well-documented observation that positive selection decreases diversity by driving up the frequency of a single advantageous allele, and has implications for association studies.